The Havasu 95 Speedway will be treating their fans to what has now become a long standing holiday season tradition when they open their spectator gates this Saturday to present "Racin' In The New Year". 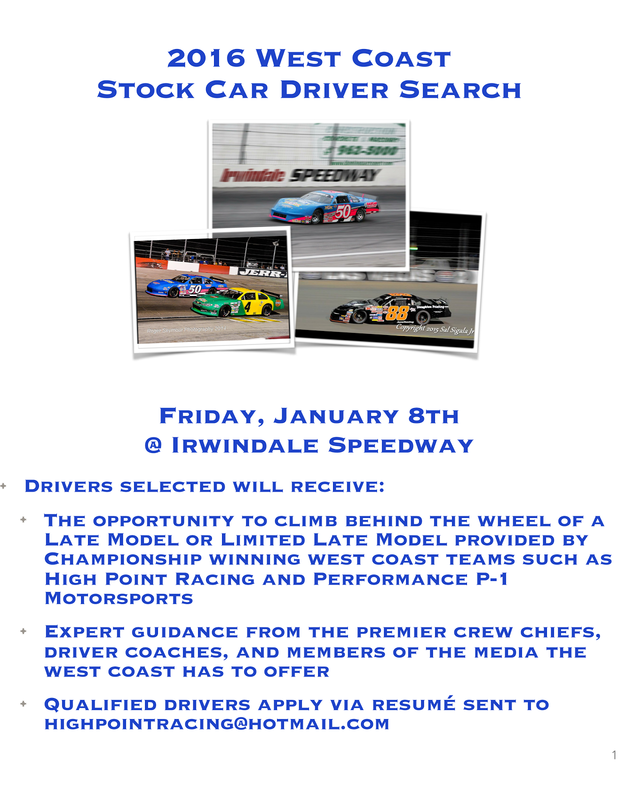 This tradition will officially launch the second half of the speedway's 2015-2016 winter racing season. The famed quarter mile paved oval is located within the SARA Park complex in beautiful Lake Havasu City, Arizona. Due to ongoing chilly night temperatures in the area, this event will be a day race. The spectator gates will open at 12pm with racing at 2pm. The afternoon racing action is being sponsored by the Fraternal Order Of Eagles Lodge #4299. The on track action will be highlighted by the Get It Gear Street Stocks who will be treating the fans to a 75 lap feature that pays $1,000 to win. Also on the race schedule will be the speedway's fan favorite Sam Nichols Electric Factory Stocks, the Main Solutions Team Factory Stocks and the Bandoleros who will be making their winter season debut by running twin main events. 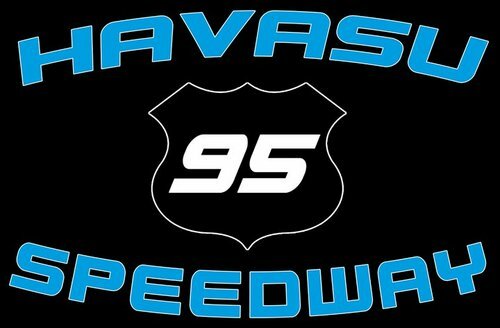 The Havasu 95 Speedway is well known for its close championship points battles and it appears that the Get It In Gear Street Stocks are, once again, going to deliver the championship drama. The division has ran four races so far with hot shoe driver Gavin Bucy winning all of them. However, Bucy's current championship status is not exactly as secure as it may seem. That's because speedway veteran Bobby Keirns has finished second in the four previous races and is only eight points behind the leader. This pair of drivers will be the ones to watch this Saturday afternoon especially with a $1,000 winner's check on the line. The fan favorite Sam Nichols Electric will be making their fourth appearance of the winter racing season this Saturday. In the three previous races, hot shoe Brent Delay has won all three of them and collected 150 championship points. However, still very much in this points profile, are driver Jose Guevara and Jeff Prieur who, based on three top finishes each, are only eight and twelve points respectively behind the leader. The Main Solutions Team Factory Stocks is a concept that features three different drivers taking turns behind the wheel with at least one of them having to be a lady. To no real surprise, this division is also in the process of creating a very tight and dramatic championship points profile. In two previous appearances, team Take And Bake has a feature win, a third place finish and is on top of the standings with 96 points. However, they only hold a four point advantage over the Asphalt Junkies and six points over EWWWEEEE Racing. Also of interest here is John Deere Racing who is ranked fourth in the standings. The team missed the first event of the season only to return and win the second race. That alone says pay attention to this team. The youngsters in their small, but very swift, Bandoleros will be making their season debut and will run twin main events on Saturday afternoon. This concept, which has its own national points championship, was developed decades ago to provide an entry level for youngsters who wanted to race. Some of these drivers are as young as six years old. Keep an eye on these youngsters this Saturday afternoon. You may be watching a future racing champion. General admission tickets for this Saturday afternoon are $12 and $10 for seniors, military personnel and the handicapped. Kids tickets, age six to 16, are $6 with kids five and under admitted free. Additionally, students from the Lake Havasu Unified School District can receive a one dollar discount by presenting their school ID at the ticket booth. The speedway also offers a budget friendly family package, for $25, which admits two adults and two kids. Fans can also enjoy the amenities of the speedway's VIP section, featuring the best seats in the house, for $25. Advance tickets, always a good idea for getting a good seat at this speedway, are available from Peggy Gerchman at Peggy's Sunrise Café, located at 1584 Countryshire Avenue.